If you have read D. Kelly's The Evolution of Us, you will recognize Sage and Baxter as the H and h's bff's. Baxter also happens to be Sage's gbff. If you haven't read it, you do not need to in order to fully enjoy this story. Sage, a busy attorney, is settling in to enjoy a rare three day weekend when her flamboyant best friend calls with a desperate request to pick up a friend of his and bring him back to Baxter's house. When she finds out it is a long drive she is less than thrilled, but she'd do about anything for Baxter. 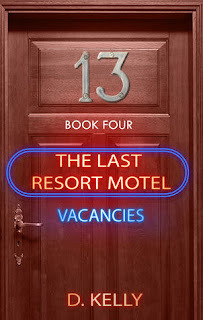 When she arrives at the dated motel, and locates room 13 (one of my favorite things in the book is the odd numbering of the rooms), she is shocked to find the man behind the door is the one that broke her heart when she was fifteen. He also happens to be Baxter's cousin, Gabriel Ross. Gabe is just as surprised to see Sage, but it is a much more pleasant experience for him. The chemistry between these two is off the charts, even when they are bickering. The twist is that he's helping his friends, Aurora and Max, run their diner overnight through the weekend. This kicks off a quest for Gabe to explain to Sage why he left her the way he did all those years ago. Ms. Kelly does a fantastic job of balancing humor and drama, though, thankfully not as heart wrenching as her Illusion series (which may be my all time favorite series; definitely my "most tissues used" read). The mention of that series when Sage and Aurora are talking books certainly did not go unnoticed - I love tie-ins like that. The secondary characters, Aurora, Max and elderly diner customer Agnes all leave you wanting more of them. Agnes is an absolute riot! 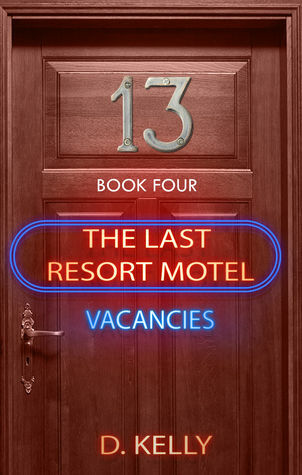 Highly recommended for a quick, sweet, second chance read.